A man threatened a member of staff with a crowbar during a robbery at an Adlington bakery, say police. The man, who was wearing a black balaclava and armed with a crowbar is said to have entered Greenhalgh’s in Chorley Road at around 3.45pm on February 14. 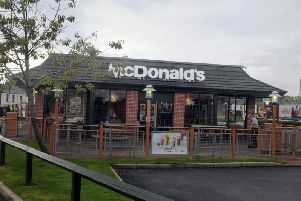 Police say the man then threatened a staff member before taking cash from the till and making off in the direction of Babylon Lane. The suspect was wearing a dark hooded jumper, dark grey pants and dark coloured trainers, as well as the balaclava. Det Con Stuart Lunt, of Lancashire Police, said: “This was a shocking incident which has left the victim very shaken and upset. “We are keen to find the offender involved and urging anyone with information to contact police immediately. Anyone with information is asked to contact police on (01257) 246184 quoting crime reference SC1801300.